The National Commission for Energy, Housing and Utilities Services Regulation (NCER) intends within three years to bring internal tariffs for oil transportation through pipelines to an economically justified level, NCER Head Oksana Kryvenko has told Interfax-Ukraine. 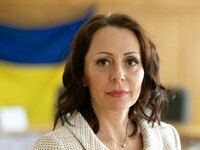 "By joint agreement in an open discussion [with the participation of Ukrnafta and Ukrtatnafta, the main customers of transportation], we came to the conclusion that it is necessary to provide a transitional period of three years to achieve a gradual increase in tariffs to economically justified. Changes to the order [of tariff formation] have been developed for this purpose," she said. Kryvenko noted now the tariffs for oil transportation via domestic routes are set at a loss-making level for PrJSC Ukrtransnafta and are subsidized at the expense of transit. As reported, Ukrtransnafta, 100% managed by Naftogaz Ukrainy, is the operator of the country's oil transportation system.